Last week M&S invited me to take part in their Matching Fashionistas Challenge. This involved me picking dresses for myself and the girls from one of their key trends for Autumn/Winter. It's a hard life! AW13 is all about heritage, winter whites, very berry and dark drama - and I decided to go with the latter, having gone all wistful and daydreamy thinking about classic tailoring, vintage touches and luxurious fabrics. For myself I chose a French inspired striped pleated bodice dress, and for the girls, matching dark grey sequin embellished dresses. I love M&S - and I love dressing the girls in matching clothes - so getting in on the act myself was excellent fun. I thought the joint combination of black, white and grey worked very well together, was very smart and fitted into the dark drama trend perfectly. I teamed my dress with black tights, black Chelsea boots and bright red lipstick - and the girls wore their dresses with pastel pink tights (that came with the dress as part of a set) and their favourite party shoes! 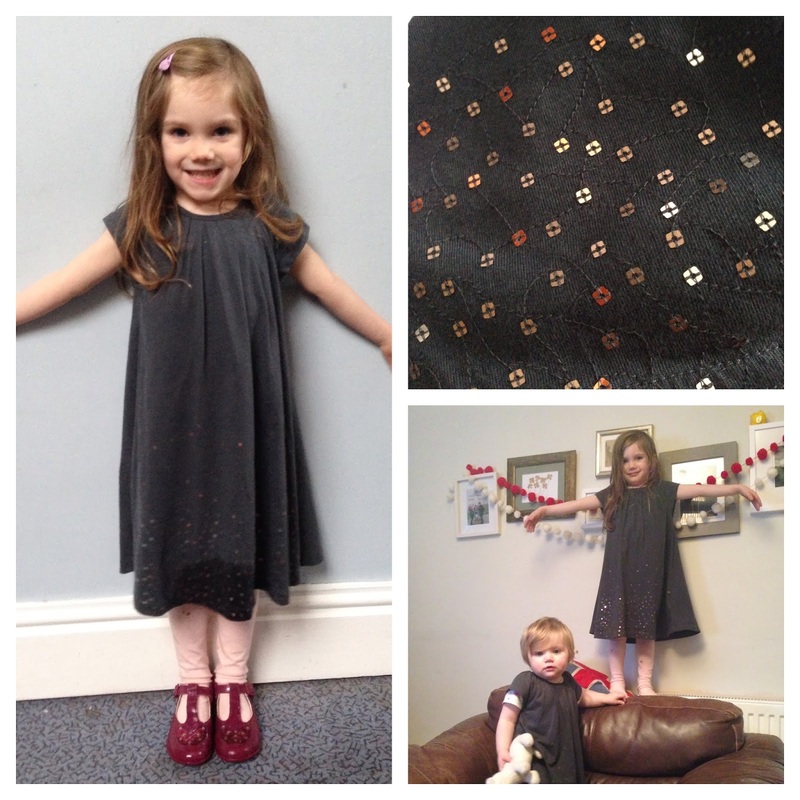 These dresses are just perfect for the Christmas party season - they are comfortable, affordable, well made (they are M&S after all), glamorous and they are all are machine washable to boot, which is a godsend when being worn by/around kids! We were given these dresses free of charge in exchange for this post.